The good fight. The long haul. That’s what we do. Established in 1993, Brelsford Androvich & White successfully represents the injured and wronged. Its attorneys pair small-firm attention with the ability to take on anyone at trial. 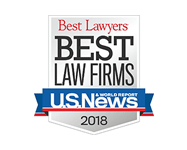 Recognized by U.S. News & World Report as one of the finest law firms in the country, the firm maintains an AV Preeminent rating by Martindale-Hubbell, the highest rating possible. Personal injury is the practice of civil litigation emphasizing bodily injury arising from accidents. Brelsford Androvich & White is Sacramento’s most respected personal injury law firm because we are committed to helping people whose lives have been devastated by injury. 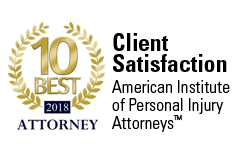 Whether a multi-million case or a smaller injury, the lawyers at Brelsford Androvich & White give each case the same level of attention and care.We have built our reputation for success by bringing a blend of honed and aggressive legal ability and a deep sense of compassion to the victims of accidents and their families. • $4 million verdict from an auto accident, reportedly the largest verdict ever for a wrongful death in Napa County history. • $1.2 million wrongful death verdict for the parents of a 27-year-old developmentally disabled man whose leg was fractured by his caregiver. He died from complications following surgery. • $360,000 verdict in Yolo County on behalf of a musician whose finger was injured moving a trailer. Contact us today for a complimentary in-person consultation. Call (916) 449-1300. R. Parker White and William Brelsford have received the honor of being selected as Northern California Super Lawyers. 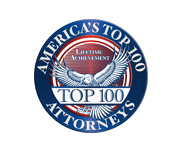 The honor is bestowed to no more than the top 5% of all attorneys within California and to those who have demonstrated excellence in the practice of law. Mr. White has received this honor every year since 2004. Mr. Brelsford has received this honor since 2014 in addition to the honor of Rising Star in 2012-2013. After only 1 year in this firm, Joseph Androvich received the honor of Rising Star in 2016.